Similar to the jacket, the Dynafit PDG Pant offers race level efficiency without the unwanted coolness associated with full body lycra. Smooth Dynastretch on the exterior and softer fleece on the interior make for comfortable tours with race level efficiency. A chunk of that efficiency is in the form of cutouts for boot buckles, alleviating the need to futz with your pants during transitions. Another chunk is simply the tight fitting nature of pant, which keeps material away from crampons, ice axes, and other material grabbers. 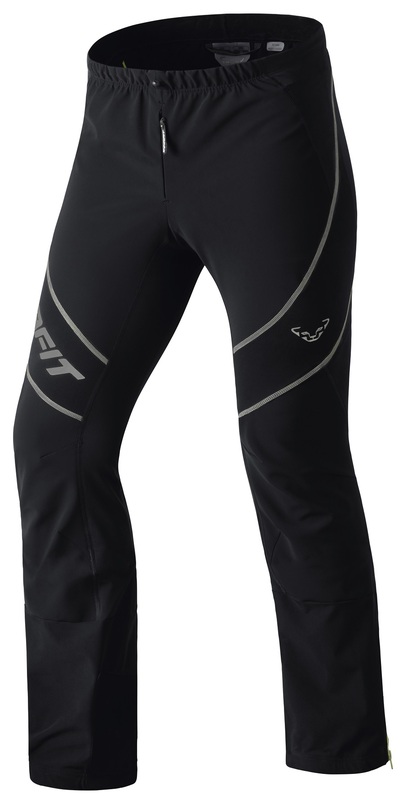 As a bonus, Dynafit added Stormwall wind protection in the crotch and thighs, to shield you from your own speed. Stirrups hold the pant in place to prevent snow from entering the top while booting. Reinforced cutout areas can be adapted to most one-motion boot buckle systems. Abrasion resistant cuff inserts add some durability where you’ll likely be adding some abuse. Four way stretch fabric is woven with wind blocker material in wind sensitive areas. Elastic waist and zippered fly offer multiple opportunities for relief. Multiple pockets offer multiple places to put things.  Materials Complicated combination of nylon, polyester, spandex, and even polyurethane. Notes Reinforcements for boot buckle cutouts. Bottom Line Race suit performance from waist down. Do you think this is a good option for alpine ski race training pants. Will it fit over the ski boots. Hi Jami, these are uphill racing pants, designed to be breatheable. They will be a bit cold for alpine racing, plus their is no padding for gate bashing. They do fit over ski boots though! I have Dynafit TLT6 boots... How does the whole cut-out/zip thing work with that kinda buckle system? These seem like a good combo of being burly enough for touring but dialed-and-light-enough for racing. Thanks muchly for any input! Hi Paul, the cuff zip has both downward and upward openers. You pull the zip down, out comes the buckle, and it goes back into the pant through a hole that you cut out (in a reinforced area that is somewhat highlighted). Give us a ring if that doesn't make sense! Are the sizes listed in Europe or USA sizes? Based on the size chart, I'm a US medium but a European large...so I didn't know if I should be buying a large or medium when checking out. Thanks. Hi Trey, we list everything in US sizes, so you want the Medium. Hello, are there cut outs for the Alien style rear buckle? Dynafit's web site implies just side cut outs. Thanks. Hey Cameron! Absolutely! Whatever side cut-outs Dynafit is talking about is probably just the zippered cuff though. There is a pretty burly reinforced panel in the back of the pant to accommodate for that long Alien lever if you want to make use of it, but I haven't even bothered with my PDG Pant/Alien RS Combo. The bottom of the lever sticks out enough in ski mode to reach down below the hem of the pant and grab it. Sorry to run off on a tangent. Yes, there are cutouts in the back. Maybe not specifically designed for the Alien, but they're spaced well enough that it'll work. Wodnering about the length on these pants. I am 6'3" and have a 32/33 inch waist. I think L or XL to make them long enough. Any thoughts? Thanks! Hey Justin! I'd go for a Large. I am 5' 10" with a 28" waist and I had to go all the way down to an XS. My legs are pretty short though and these seem to run a touch long actually. I think an XL could be too big around your waist. Thanks! Ordered up the large. Stoked to give'em a try. Thanks for answering my question. At my pants there is only cut outs on the side of the pants, not at the back. isnt it supposed to be a cutout are to lock the buckle at the of the pants? Hi Simon, for Dynafit UltraLock boots, the buckle comes out the zipped on the size and goes into the reinforced area in the back, which should be cut out. How do i cut out the holes for the ultra lock system? Hey Simon. It's super easy and very low tech. Turn the pants inside out and take a pair of scissors, sharp knife, pizza cutter, your teeth, whatever suits your fancy, and cut a hole in the reinforced cuff. The placement for the cutouts are marked and reinforced so it won't unravel. I used the PDG pant about 30 days this past season. It is my favorite rando pant after also using the older Dynafit Movement, and the Millet Pierra Menta. The EU L/US M fits my 32.5" waist well. In comparison, they are more wind resistent than both other models mentioned, and certainly more wind resistant than my race suit. They are durable, and have impressed me with their abrasion resistance when scrambling over rock. I find the mesh pocket low on the right thigh useful for my field book in the pit, buff and gel when skiing. They fit me better than the Movement model, which had extra space in the hips with size EU 48, which should be smaller than the EU L size PDG. The stirrups are super useful, compared to the Pierra Menta. I did not cut the pant for buckles and use both a TLT and an Alien boot--no issues for either buckle style. The PDG pant doesn't stink like some others I've had; also not an issue for PM or Movement. Probably only wash them about every 5 days. Skied the Haute Route in them. Great rando pant! Overall: Four Stars if you want a pant to use as a lower-body substitute for a full lycra suit or tights on race day since the PDG a little bit overbuilt for that. Four Stars if you want a pant for touring since the PDG lacks any zippered pockets in the front. Five Stars if you want a training pant to use with some race top that already has some pockets for items beyond just climbing skins, but that’s a relatively limited application, so Four Stars as an overall rating. Background on product familiarity: I used the PDG pant during the 2014-15 season for lots of training sessions combined with a La Sportiva Syborg top. And for my touring the last few seasons I’ve used Dynafit’s very similar Racing pant and the somewhat similar Movement pant. First, the first impressions out of the box: If your goal is more modesty than allowed by a full one-piece lycra race suit, then unfortunately you’ll be flashing a large Snow Leopard in back, plus the white sections of the white-on-black color scheme are glaringly bright. The fit matches up with the sizing chart, but note the continental differentiation, e.g., I’m a medium among presumably skinny Euro metrosexuals yet a small in the Obese States of America. The elasticized drawstring waistband works very well, which begs the question of why this pant bothers with a zippered fly. Or perhaps that zipper migrated unintentionally a few inches from where it could have served as a highly useful front pocket (e.g., like on Dynafit’s own Movement and Racing models). The zippered mesh pocket in back (same as on the Movement and Racing) and the elasticized mesh pocket on the lower thigh (same as on the Movement, yet mysteriously absent on the Racing) are both very useful, but neither is a perfect substitute for a zippered front pocket. Although the underpocketed design seems more suited for a racing tight, the relatively stiff zipped lower leg openings seem more suited for a touring pant. A Dynafit side-throw or an Alien vertical lever can be accessed via the long two-way zipper. If you want race-style access, the lower leg has reinforcements for cut-your-own holes. Second impressions, in use: This has been the perfect pant for when I want to train with a separate top (as opposed to a one-piece suit), whether for more clothing flexibility, fitting in better with society after training, or enhanced protection against the elements. Most notably, as compared to a plain lycra suit, the PDG pant has coped much better with brief bouts of rain and freezing rain, and I’ve been much warmer for post-dawn-patrol “victory” laps on a cold chairlift. In my nearly identical Racing pant, with lightweight long underwear and wind boxers, my lower body has been perfect fine touring in sub-zero F temps and nearly hurricane-force winds (which is more than I can say for my big toes and big nose). Third impressions, for long-term durability: My PDG pant has lived a relatively easy life so far, but my nearly identical Racing pant has been through hellish bushwhacks. Once I even brushed up against what I thought was a bushy protrusion that turned out to be a sharp broken-off branch – ouch! I was surprised to see that the pant was entirely unharmed. I was even more surprised back home to see the extensive blood on my leg. Yes, this material is impressively thin, but it’s also impressively durable. Not sure about the sizing. My measurements are 31" waist, 38.5" hips, 32" inseam (it's not clear where to measure the top of the "leg length" in the size chart, so I'm not sure mine is). I am 6' tall. 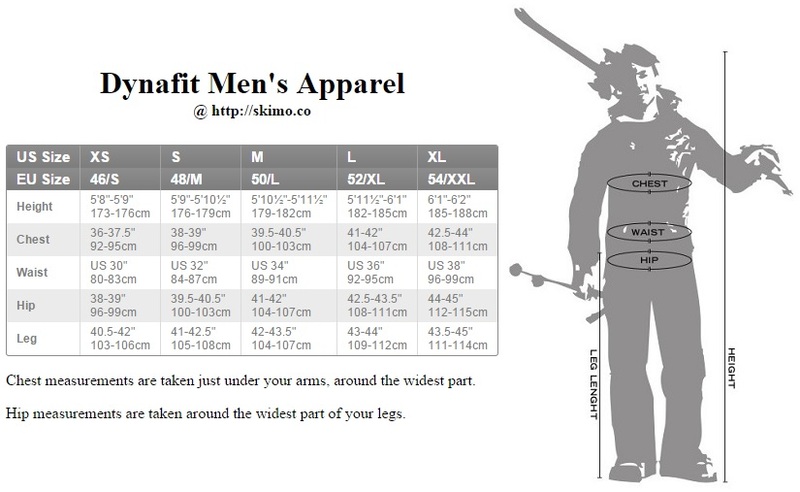 From the size chart, it seems like I need a size S (or smaller) to fit my waist/hips, but a size L to fit my leg length. What do I do? Hi Sean, you are between a small and medium. The medium is plenty long enough, the small plenty wide enough. One dimension will be sub-optimal, but either should work. Go small for a tight fit or medium for casual. I bought these pants in October and have put around 12 days on them so far. I love them. The freedom of movement and lack of presence or noise is spot on. They are form fitting, but still more of a pant than a tight. They stretch in all the right places and have panels of wind stopper fabric in key areas to keep you warm when the wind is ripping. Big, elastic stirrups do a great job of keeping the cuff down. Boot access is made super easy by using a 2-way zipper on the side of the cuff to allow one to either expose the top buckle of a Dynafit-type boot or zip it all up for boot packing in deep snow. Unzip the cuff and you will find two, very clever urethane reinforced "windows" in the back that can be cut out to access either an Alien or Dynafit type walk mech for immediate boot transitions. No fussing about with the cuff or no need to hike the pants up above the boot (style points...grin). Not an incredibly warm pant by design but feel that it will be that perfect balance when it finally decides to get cold and turn into a proper Winter season. Especially if you run hot in the legs. I've since worn other, heavier schoeller-type pants and see that I'm already spoiled to the weight and freedom of movement offered by the PDG. Especially with lightweight, modern boots with tons of cuff articulation. Will the cutouts fit the buckles on a La Sportiva Spitfire? Hi Adam, the enclosed latch mechanism on the Spitfire doesn't require special access through the pant. There is a downward zipper on the side of the PDG pant through which you can access the buckle itself. Hey what is the difference between the race pant and the pdg pant? Hi Scott, they are fairly similar pants overall. The PDG has some subtle changes to the material ratios (nylon vs spandex) and stitching, e.g. they've added more wind-blocking capability (nylon) to the front side. It's also a bit lighter and tighter fitting, closer to a race suit. Maybe a tad less durable without the beefy scuff guards on the Racing Softshell.